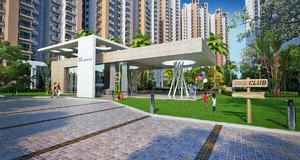 Let you and your family live in an extraordinary home with Gaur Sportswood Noida that has 3 BHK apartments with all the world-class facilities that you won’t get to meet anywhere else, in a prime location of Sector-79, Noida. These apartments are available in the size range of 1690 Sq. Ft. to 2280 Sq. Ft. with a starting price of just Rs. 85.9 Lacs*. To know more about the Floor Plan, please visit: Gaur Sportswood Floor Plan.